For John Deere tractors 520-830. 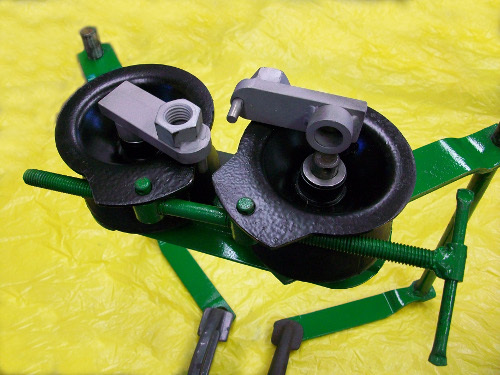 Two piece spreading tool to position the two ruber torsion springs. Makes it easy to insert the adjusting handle.